Gain the maximum benefit from your Sena motorcycle intercom headset with these help videos from fitting the intercom to a helmet , connecting and talking to other bikers and updating to the latest Sena firmware version. You have your new Sena headset and want to get up and running as soon as possible! We have compiled these videos to help you. You’ll never have to worry about your Bluetooth device capabilities becoming obsolete. Just register once, and you’ll get all firmware updates for free—extending the life and value of your purchase. Introducing the Sena 30K – The only headset that allows for intercom communication between both Mesh technology as well as Bluetooth. Welcome to the future of motorcycle communication. Get you and your group on the road faster than ever. Connect everyone at once using the Mesh Intercom™ on Sena’s 30K. How to use the Sena 30K Mesh Intercom in public mode – with a virtually limitless number of connections. Welcome to the future of motorcycle communication. Introducing the Sena 30K with Mesh Intercom™. The self-optimizing and self-healing network keeps you and your group connected easier than ever. An overview of the Sena 30K, how to turn the 30K on and off, check the battery and charge the unit. How to pair the Sena 30K with other Bluetooth enabled devices. You can pair the other devices selectively to help organize the device profiles. The 30K will allow for up to (2) Bluetooth devices, and (3) Sena Bluetooth headsets. The Sena 30K has it’s very own Utility App allowing users to adjust settings, create Mesh Intercom groups, organize Bluetooth connections, and control everything visually. The 20S includes an iPhone and Android Smartphone App with a built in quick start guide. No need to remember anything as you can set up the device and configure settings directly from your phone. Additionally you can connect to all group members with a one-touch action, directly from the app. – Motion Sensor allows you to pair two Sena 20S headsets together by simply shaking the units. – NFC (near field communication) allows you to simply place your mobile phone near the 20S headset to pair the two to each other. Here is a video on how to use the voice commands on the 20S which allows you to control most of the functions of the 20S by only using your voice. Here is a video that provides an overview about the motion sensor built into the 20S. This video describes several ways of pairing two devices simultaneously to the 20S headset. This video shows you how to use your GPS to make & receive phone calls, see caller ID, receive GPS commands and listen to stereo music i.e your GPS acts as a hub for all these functions. Please note in this configuration GPS command volume will not be reduced during an intercom conversation. The same applies to stereo music. This video shows you how to pair two different Bluetooth devices (a phone and GPS) to the 20S so that they function as separate entities. – Pair your phone to the 20s to make and receive phone calls and listen to music from your phone. – Pair your GPS individually to only receive GPS directions without interrupting intercom conversations. The Sena 20s is the worlds first Bluetooth intercom to feature voice commands. Your hands now never have to leave the handlebars. Simply speak to control all functions of the unit. This video explains how to activate voice commands by simply tapping on your helmet or the Sena 20s headset. With the free version 1.1 software update this feature has just got better! The unique Audio multi-tasking feature found in the 20s allows for conversation WHILE listening to music, FM radio or GPs commands. It also allows for the sharing of music between 2 Sena 20S headsets. Audio multitasking allows 2 riders to hear music from one music source. 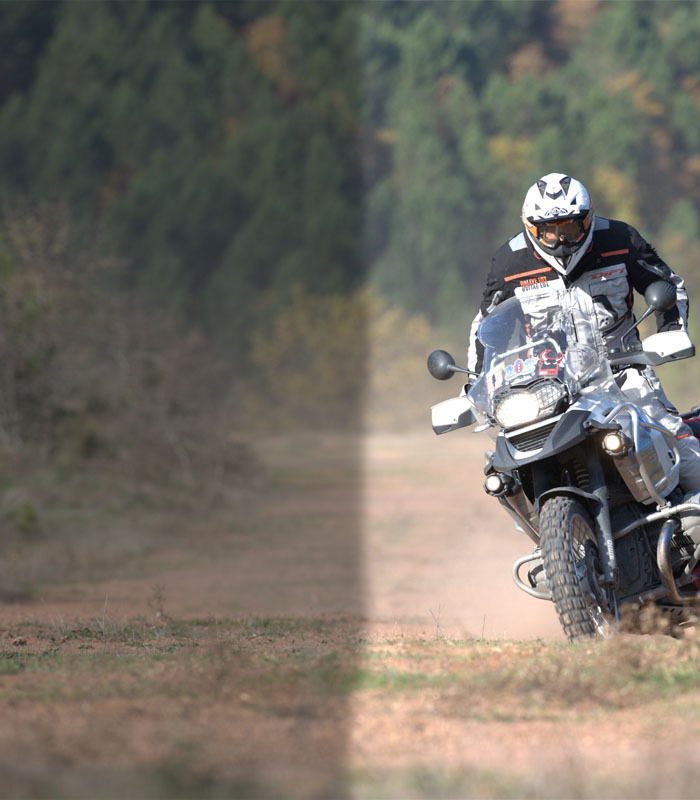 Some tricks and tips for how to use your Sena motorcycle communication and action camera devices best. How to get better audio from the headsets and camera. Powering your Sena Bluetooth helmet intercom on and off is a simple task. Here’s how! The configuration menu allows to you to operate all the Sena’s features via its on board voice prompt menu. How to pair your cell phone with a Sena Bike intercom via Bluetooth. This video shows you how to pair your GPS to relay turn-by turn voice instructions ONLY to your Sena headset. This video shows how to connect a Garmin Zumo 550 , Apple iPhone and the Sena Bluetooth intercom to each other. This video shows how to connect a Garmin Zumo 660 , Apple iPhone and the Sena Bluetooth intercom to each other. This video will show you how to pair 4 Sena headsets to each other for multi bike and rider communications. How to enable a 4 way bike intercom session with a Sena Bluetooth headset.This will enable up to 4 riders to talk to each other. This video will show you how to make a phone call between two riders and one cell phone. One example of such an application would be if a friend calls you on your cell phone & you would like to have your pillion or riding buddy included in the conversation. How to enable a 3 way bike intercom session with a Sena Bluetooth headset. This enables up to 3 riders to talk to each other. This differs from the video above as no cell phone is involved, only the Sena’s intercoms. How to pair 4 Sena’s the easy and quick way. The music sharing feature allows for Sena headsets to send music to each other from one music source . You can start sharing music with an intercom friend using Bluetooth stereo music during a two-way intercom conversation. The SR10 is a Bluetooth Two-way Radio adapter allowing for connection of various two-way radio devices. The SR10 acts as a hub transmitting wirelessly from a 2 way radio to your Sena headset (as well as other brands of headsets). The Sena device manager enables you to update the software on your Sena headset. Sena offer regular free software updates which are a simple download from the Sena website. If you ever need to reset your Sena Bluetooth bike intercom to its factory settings here is how to do it. Please note this will erase all your personal settings. If you wish to keep your personal settings please refer to our video “Sena SMH10 Refresh Reset” above. This video shows you how to refresh the settings on your Sena SMH10 headset. Please note a refresh will not clear your personal settings. If you wish to clear your personal settings and revert to the factory default settings then please see our video “How to reset your Sena headset to its Factory Default Settings” . The latter “resetting to factory default settings” will erase all your personal settings. This video shows you how to pair/connect a non Sena Bluetooth headset to the Sena GoPro Audio pack. Once paired it will enable the user to record clear audio together with their video via a Gopro Hero 3 and Hero 3+. This video shows you how to pair/connect a Sena Bluetooth intercom (such as a SMH10, SMH5 etc.) to the Sena GoPro Audio pack. Once paired it will enable the user to record clear Ultra High Definition(UHD) audio together with their video via a Gopro Hero 3 and Hero 3+ camera. Suction cup mounts for mounting on the top case, side panniers, windshield. Waterproof case. This is a feature unique to the Prism helmet camera and enables you to control the Prism from both Sena headset & non Sena Wireless Bluetooth helmet intercom. It also enables you to record your voice onto a video. The Sena Prism is the only action camera that enables users to add audio to their recordings from either a Sena intercom or other brands of Bluetooth bike headsets . Both single and multiple riders can add narratives (while on the move) to the same recording to create a mixed audio experience. One of the unique features of the Sena Bluetooth action camera is that it can be controlled hands free using a Sena headset or a non Sena headset. The Sena Prism comes with a voice prompt feature that allows users to receive clear camera staus feedback via their helmet speakers. You can control the many features of your Sena Prism action camera from either an iPhone or Android phone with this free app. The Sena RideConnected App lets you use your smartphone to talk to other riders without the limitations of using Bluetooth to talk over the intercom. Download it here. How to control the RideConnected App from your Sena headset. How to install a Sena 10S (or most other clamp Sena headsets) onto a helmet. There are plenty of additional pieces to allow you to mount the Sena on any helmet. How to pair the Sena Freewire with a Sena Device. hold the center button of the Freewire until in pairing mode, put the other Sena device into phone pairing mode. Wait for them to connect and enjoy everything from your bike wirelessly. Here is a video on how to pair the Sena Handlebar Remote to a Sena Bluetooth headset. How to update the file date and time on the Prism Tube. After adding the “timeset.txt” file and turning on the camera, the camera will begin to name files based on the date and time created and going forward.